We were greeted with some earlier than usual snowfall in the alpine this past week in Whistler. I know it’s still too early to be even thinking about it but it is always fun to see the first snow on the mountains. If the rain and cooler weather stick around, we should be off to a great start. One thing that is not cooling at the moment is the local Whistler housing market. While there are still price reductions occurring, there is a sense that a recovery is taking place. We continue to see lower amounts of inventory available with buyer interest continuing to grow. We have seen an increase in the number of multiple offers which has resulted in sellers getting closer to their asking price and in a few cases receive over asking price. This is good evidence that we are moving forward to a more balanced market. The Whistler Listing System reports residential property sales reached 50 in August and 67 in September. 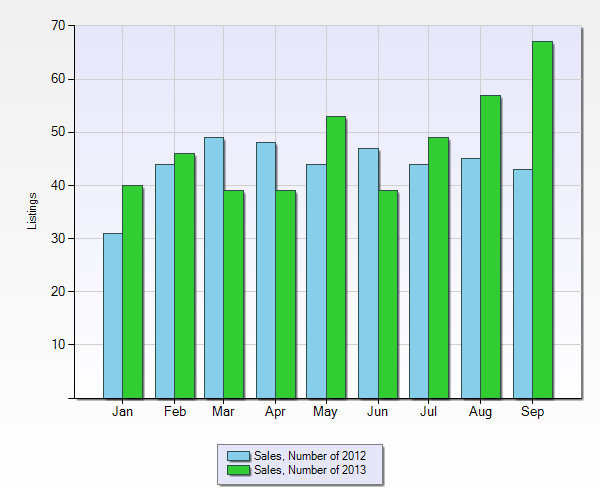 For August, this represents a 22% increase in sales compared to the 41 that were posted the previos year. * For September this represents a 55% increase in sales from the 43 posted in September 2012. 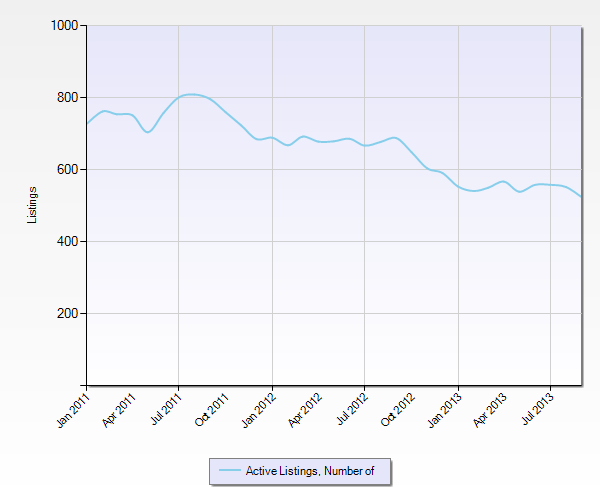 Active listings currently total 509, the lowest amount since mid 2008. This represents a 24% decrease from the same period last year. The sales-to-active-listings ratio year to date for 2013 is 9%. This is up from the 7.02% posted in 2012 and the 5.58% posted in 2011. August saw a S/A ratio of 11% with September posting a rate of 14%. A buyers market is typically seen as 15% or less, a balanced market 15% - 20% and a sellers market above 20%. Median list price for residential properties in Whistler for 2013 YTD stands at $649,000 with median sale price at $580,000. 2012 saw a median list price of $599,950 and a median sale price of $541,250. This represents an 8% increase in median list price from 2012 to 2013 and a 7% increase in median sale price. Year to date sales volume currently is just under $331M. This is a 17% increase for the same time last year which saw $283M up to and including September. For those still deciding when the right time to enter the Whistler market will be, I feel it is here. We are seeing prices slowly correct and interest rates rise in the past few months. I feel this is a trend that gives us a snapshot into the future. To wait will mean you will likely have less to choose from and will pay more. For sellers I feel we are seeing one of the best periods to list your home that we have seen in the past 5 years. Please contact me if you are thinking of selling or buying. I would be pleased to share my knowledge and thoughts on the Whistler market with you and discuss how we can reach your goals. *Figures represent Chalet, Condo, Duplex, Townhouse and vacant land sales. Information is taken from the Whistler Listing System and deemed accurate.